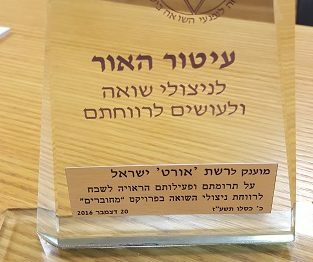 Award for our Contribution to Holocaust Survivors in Israel: We are so PROUD! The Foundation for the Benefit of Holocaust Survivors in Israel honored Mr. Zvi Peleg, Director-General of Israel Sci-Tech Schools Network (pictured) with the prestigious Medal of Light (Itur Ha’Or) Award in a special ceremony at the Knesset for our values and volunteering program, “Connected Generations (Mechubarim)” Program. 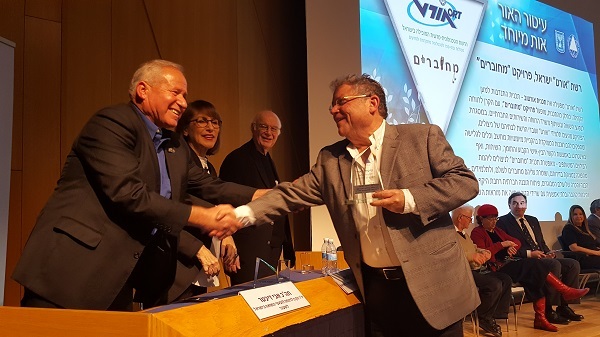 Accepting the Medal of Light Award at a special ceremony at the Knesset, Zvi Peleg, Director-General of Israel Sci-Tech Schools Network. Award category: “Improving the quality of life of Holocaust Survivors in Israel, encouraging volunteers and activists for public increasing awareness of Survivors’ situation in Israel and their needs”. Mechubarim is the largest of our OR-TOV (A Light for the Good) values and volunteering programs, serving almost 1,000 participants across Israel. Two tech savvy high school students who serve as volunteers, paired with a holocaust (Shoah) Survivor, tutoring him/her to use his/her donated computer, Internet and printer. Our young tutor-companion with his partner, a Holocaust Survivor. The MAGIC lies in the special relationship that grows between the Survivor and his/her young tutors as he/she learns how to use them through the school year. Students develop as people, gain rich insight and a special sensitivity for the needs of others. Even more, their new skills in leadership, team work and organization are tools for life. This is a joint venture between Israel Sci-Tech Schools Network, the Ministry of Social Affairs and the Foundation for the Benefit of Holocaust Survivors in Israel. SEARCH this blog for more posts about “Mechubarim” and “Holocaust”. 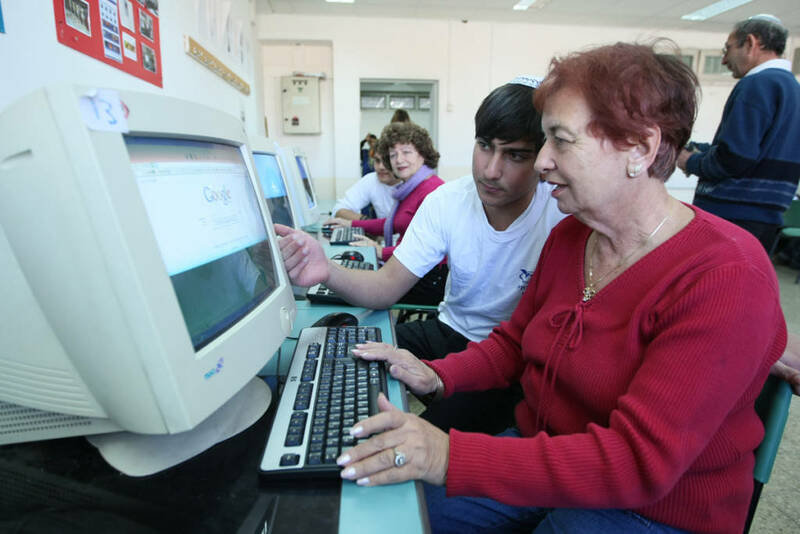 the Ministry of Social Affairs, Israel Sci-Tech Schools Network, the Foundation for the Benefit of Holocaust Survivors in Israel.